Stretch out in comfort on this gently contoured chaise lounger. Upholstered in a rich romantic french script fabric, this chaise seating effortlessly combines a tailored feeling and contemporary flair. Tufted accents, and a cylindrical accent pillow add a luxurious appeal to this chaise. Stretch out in comfort on this gently contoured chaise lounger. 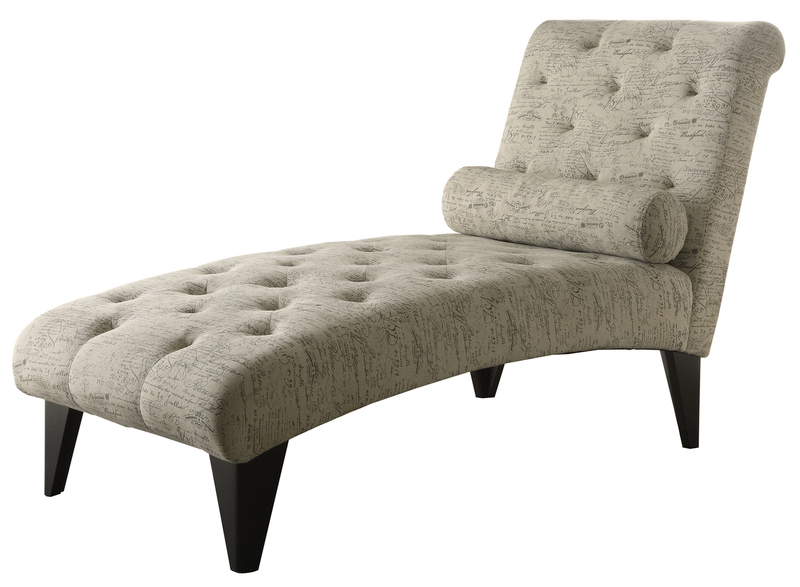 Upholstered in a bold, modern sandstone and grey maze fabric, this chaise seating effortlessly combines a tailored feeling and contemporary flair. 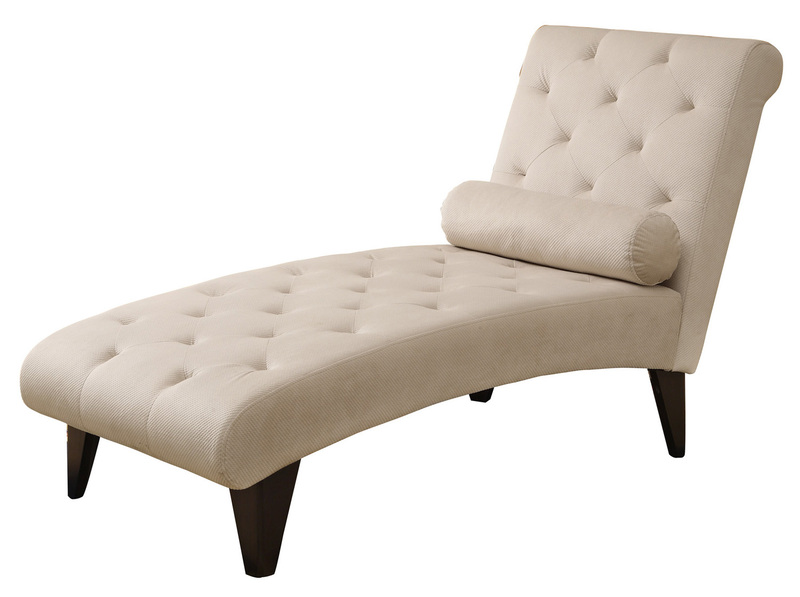 Tufted accents, and a cylindrical accent pillow add a luxurious appeal to this chaise.